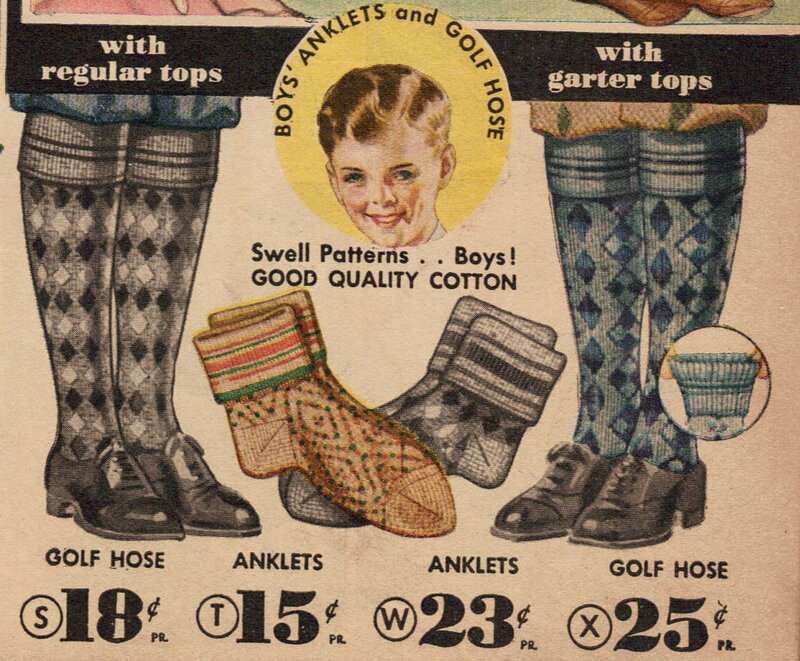 This is an ad for socks for boys from 1934. I love this ad. The socks are actually quite attractive, but I can’t see any boy wearing them today (at least not without risking getting beaten up). These were apparently quite chic at the time, though. The tall socks look cute with their puffy short pants and the short ones are actually kind of attractive in their own way. Much more interesting than white tube socks, anyway. I guess that’s really it – they’re more interesting than 95% of boy socks sold today. And I like how the ad is colorful and speaks both to the boys themselves and to the parents who will actually be buying the items. This was good marketing. It’s telling the kids the socks are cool and the parents that they are well made and priced reasonably, rather than only focusing on one of them. This entry was posted on December 11, 2009 at 12:09 pm	and is filed under Fashion, Vintage. Tagged: 1930s, catalog, national, print-ad. You can follow any responses to this entry through the RSS 2.0 feed. You can leave a response, or trackback from your own site.